Caught in a Cabaret is a short film from 1914 starring Charlie Chaplin and the film's writer/director Mabel Normand. 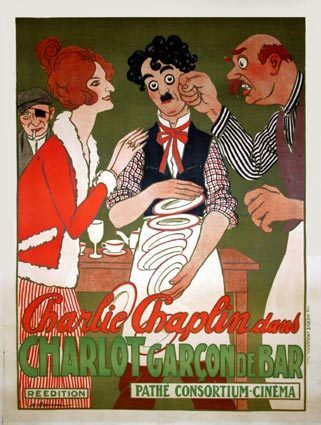 Chaplin plays a waiter who fakes being a Greek Ambassador to impress a girl. He then is invited to a garden party where he gets in trouble with the girl's jealous boyfriend. Mabel Normand wrote and directed comedies before Chaplin and mentored her young co-star.